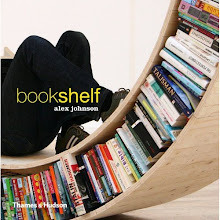 From Miron Lior, designer of the stackable Invisible Shelf, comes another artful, “invisible” way to display books. 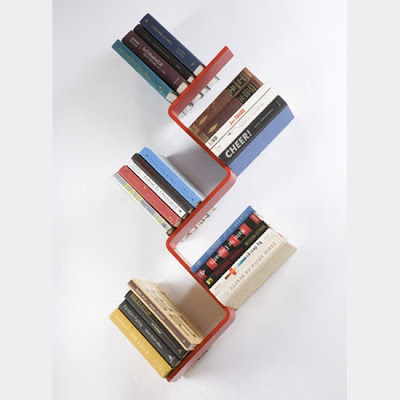 The powder-coated steel Z Shelf is a modular piece that can be arranged in a zigzag style, or an escalating shape on a wall. The front cover of any hardbound book conceals the hooks that keep the shelf in place, while a functional bracket joins the bound pages. The Z Shelf is easy to hang with built-in wall mounts, and looks best slightly askew. Your books are safe from gravity, if not prying hands.